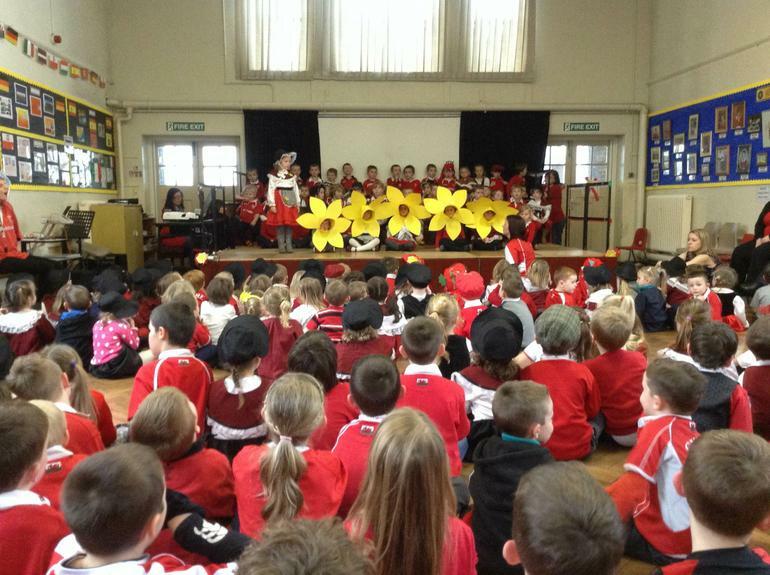 On Thursday 6th March, all of the children participated in St David’s day celebrations. 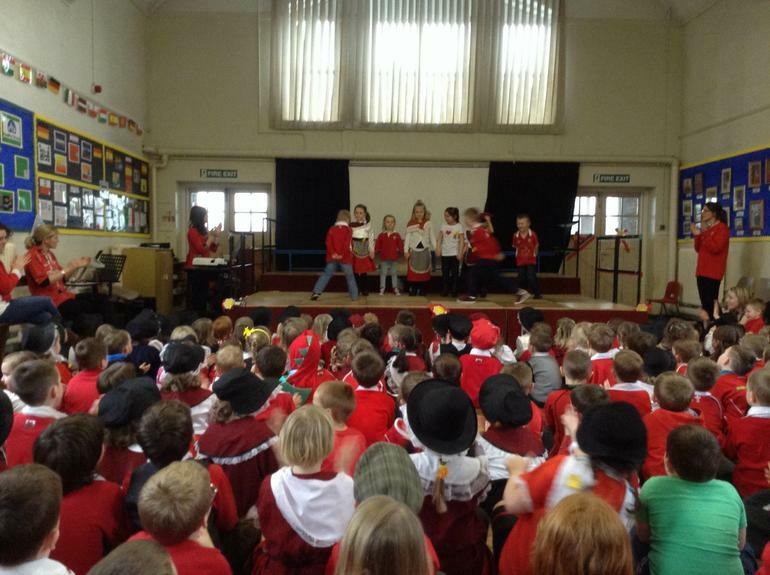 The day started with an Eisteddfod for Key Stage 2 where each class took to the stage to perform. 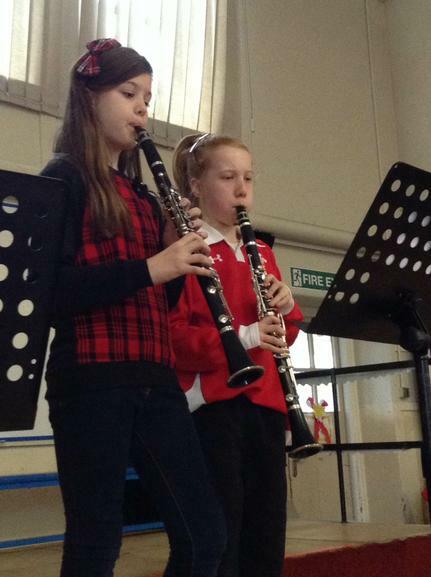 We also had children showcasing their musical talents, playing a variety of instruments. 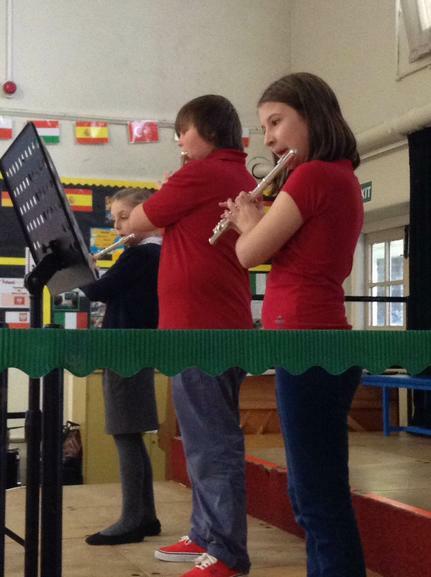 It was a fantastic concert, which ended after we all sang the National Anthem. 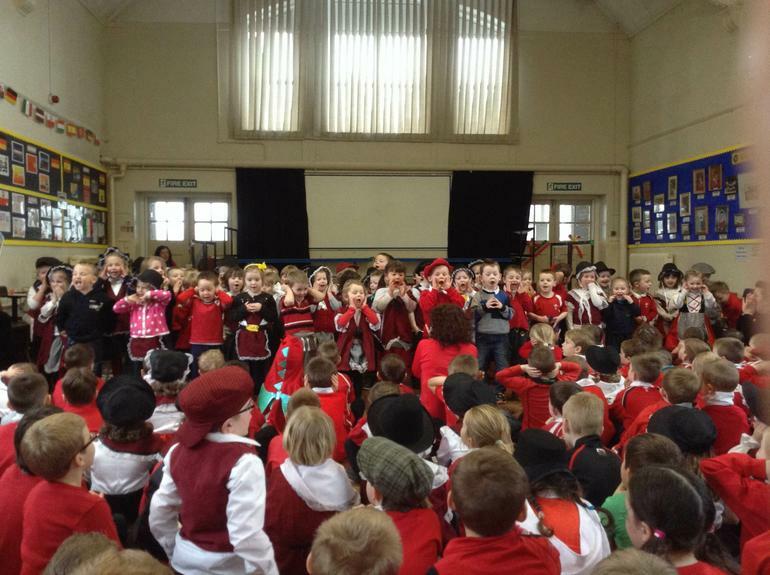 In the afternoon the Foundation Phase children took to the stage, where each class had learnt a song. 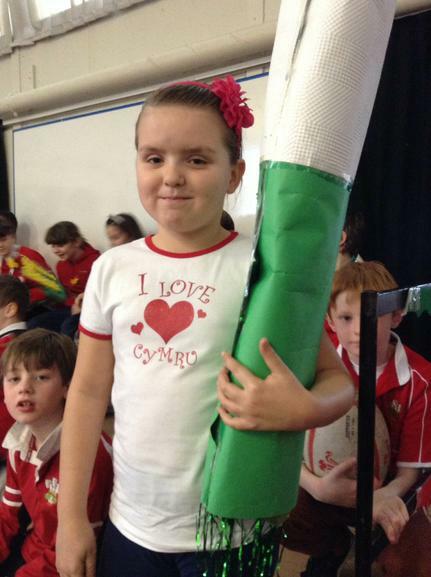 Year 2 told the story of Dewi Sant, the patron saint of Wales. 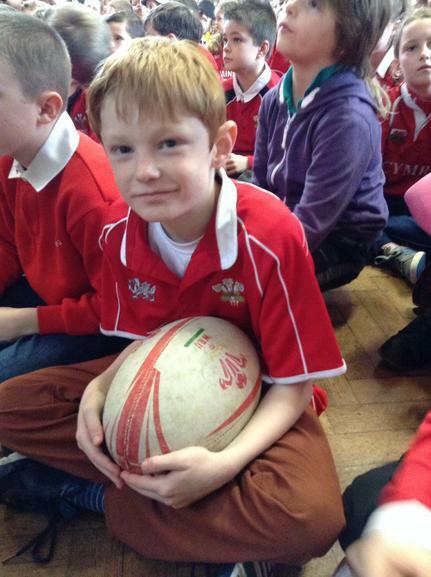 At the Heol Y Cyw site, the children also performed, with refreshments on offer as well. 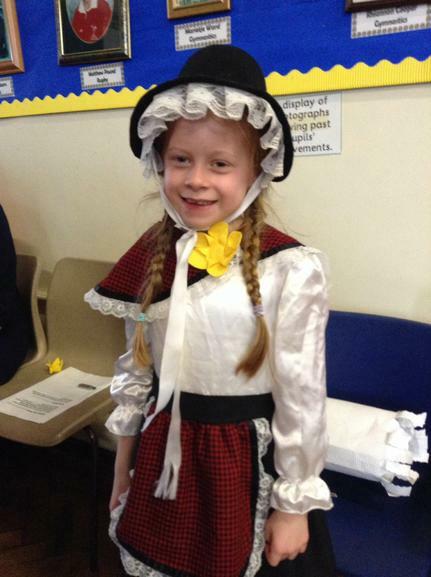 Mrs John had cooked up a very tasty traditional Welsh cawl. 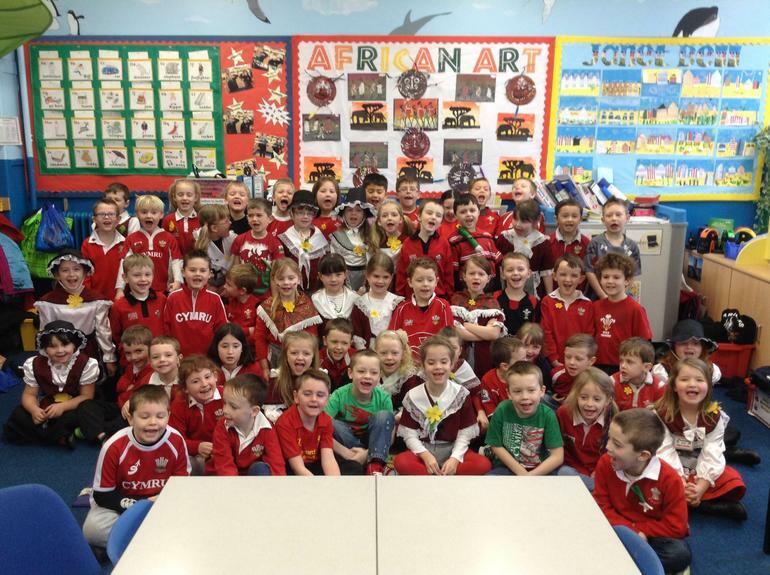 Well done to all of the children who performed so well. 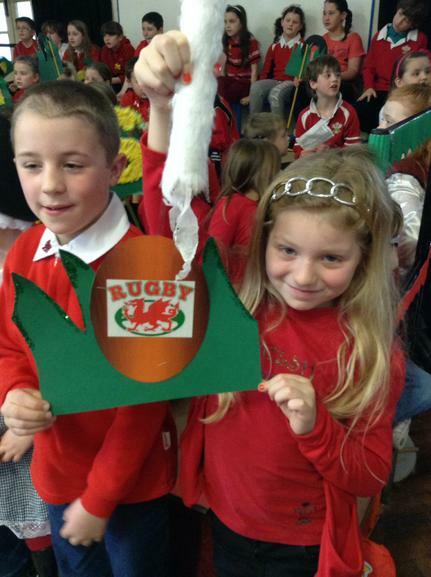 Everybody looked fantastic in their costumes and rugby shirts and many thanks to all the staff who worked so hard to arrange the concerts.